As the new year starts, looking for and ordering sample photo print products has been one way I've been getting prepped and am super excited about! 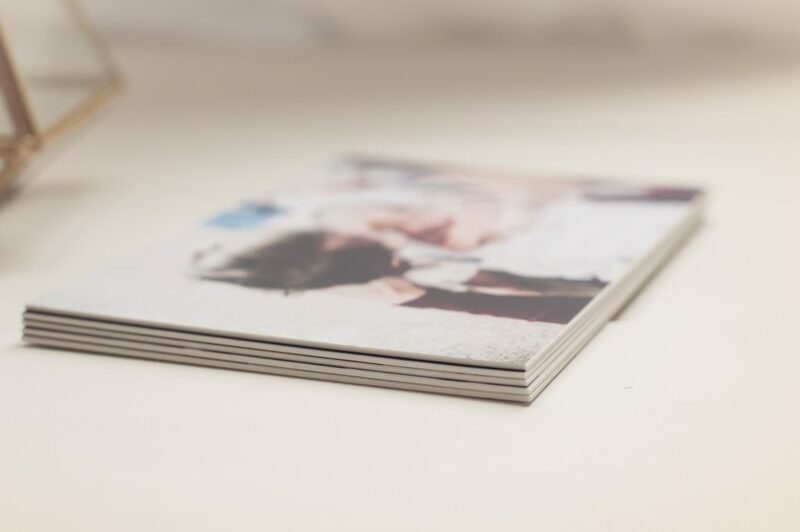 When booking a session, we cover all of the print products available to order at your in-person viewing appointment. This is a meeting with you and myself, all customized to your session and the art you are looking to invest in. This is a special experience where you get to see all of your edited images for the first time and get to see and touch all of the products in person a few weeks following your session. You will sort your favorites and place your order, which you can read a little bit more about here. When deciding what to offer my clients, I went with the classic and timeless samples first; gift prints and wall art. 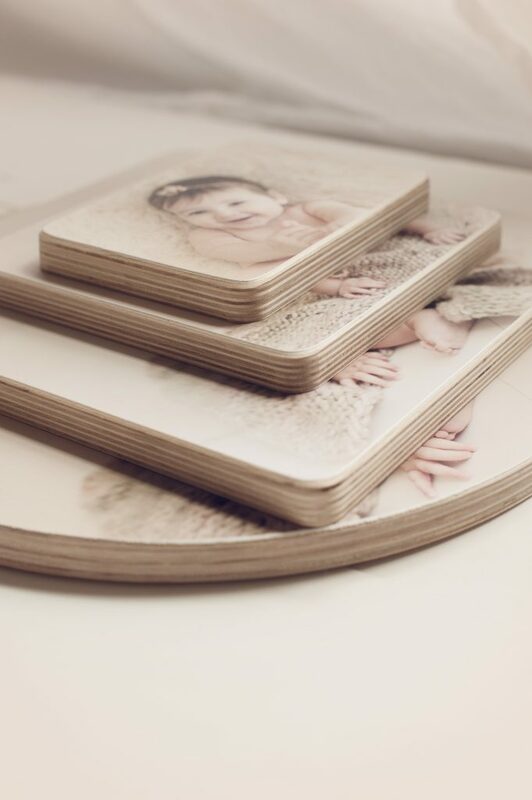 Gift prints include sizes 8×10 and under, and are mounted on mat board (except for wallets), which will keep them sturdy and make them ready to frame! Wall art are sized 11×14 and larger, which all come mounted on sturdy mat board for prints or as gallery wrapped canvas. I have ordered many canvas prints for clients in the past and they have always been beautiful statement pieces to display in their home. For prints I wanted to try a different paper/finish than a classic gloss so I went with some deep matte print samples and I am absolutely in love with the look! The images below will show 5×7 mounted deep matte prints. I also wanted to offer a pretty way to present the 4×6 and 5×7 prints, so I had a walnut stained and engraved print box made that I think really fits my brand and style! So I am going to offer this as an add-on option when ordering gift prints! 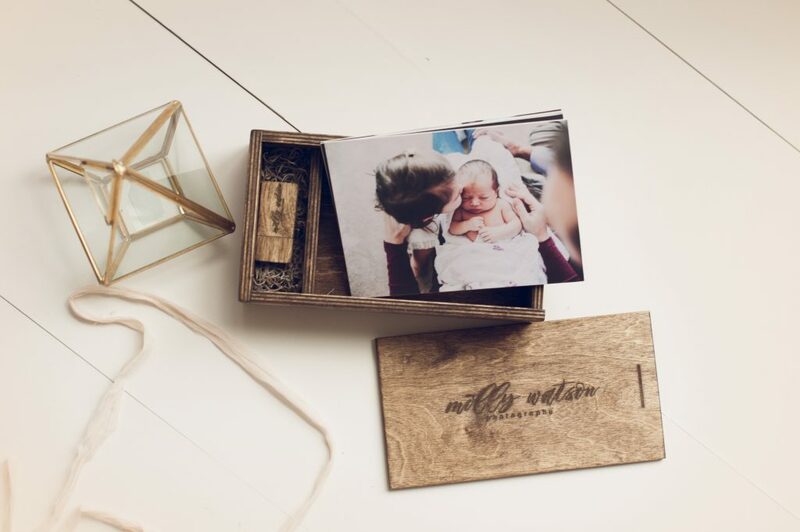 Another great feature of the wood print box is there is an option for a space for a USB. So now what about digitals? These will be offered as either part of a collection or a la carte. 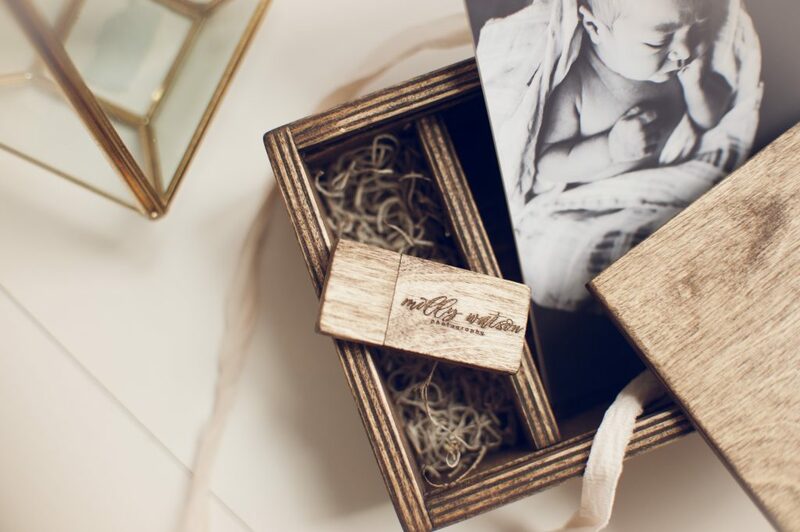 Digitals are important to many people as well, and I have decided to present these on a custom engraved wood USB that matches the wood print box. So all of these options are customized depending on your order! I was going to stop there but I have been wanting to try out some wood prints. I had four different sizes ordered for myself to see how I would like them, and of course I fell in love. So I decided to offer those to my clients as well! There is a variety of sizes and shapes, including square, rectangle and circle. 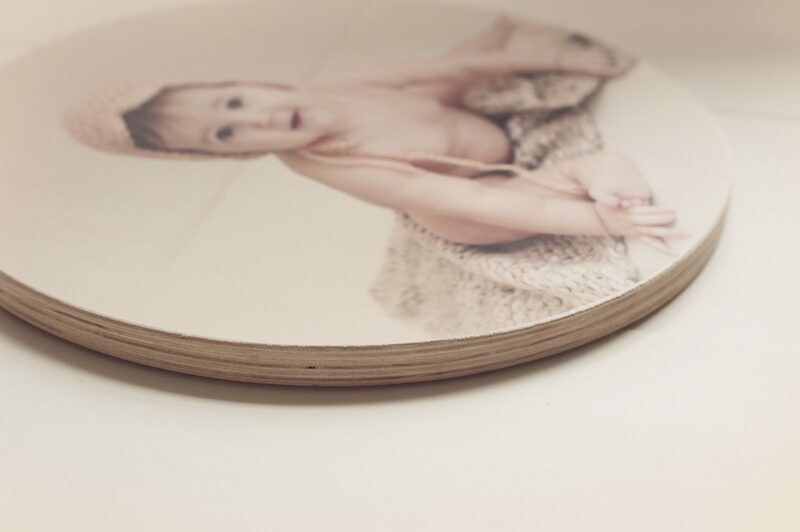 The wood prints are perfect for making a wall collage display, set on a little easel on a table top or even lean against the mantle! 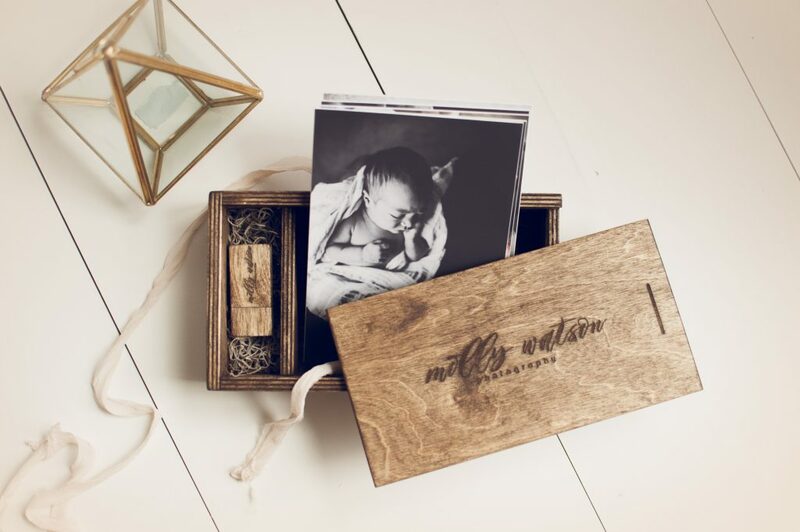 All of these beautiful, professionally printed products are meant to be heirloom art that can be treasured and passed down. Here are some photos I took of details of these products! If you have any questions or need to inquire, contact me or at mollywatsonphoto@me.com. I will post again when I have my album samples in as well! Enjoy! 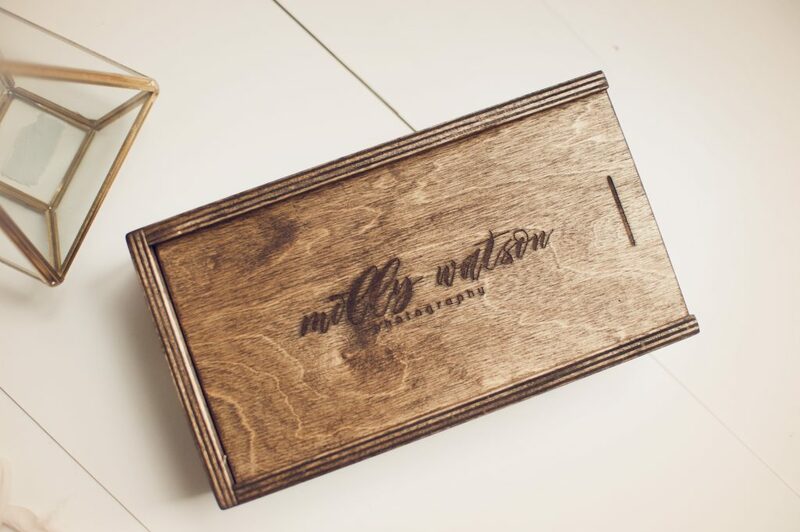 The deep matte prints in a wood presentation box with wood USB! Classic gloss prints available as an option as well. 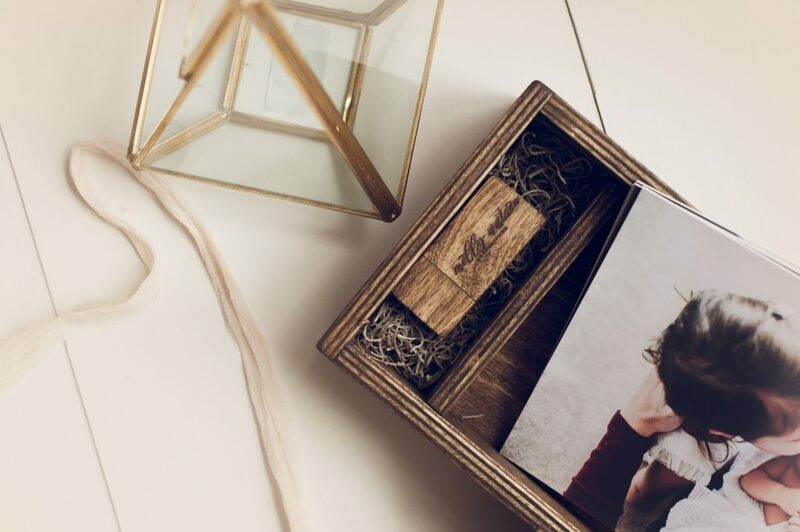 Wood prints come in a variety of sizes with a unique look and a pretty, vintage feel. I ordered four different ones to make a collage wall art display, but there are several other sizes available as well! 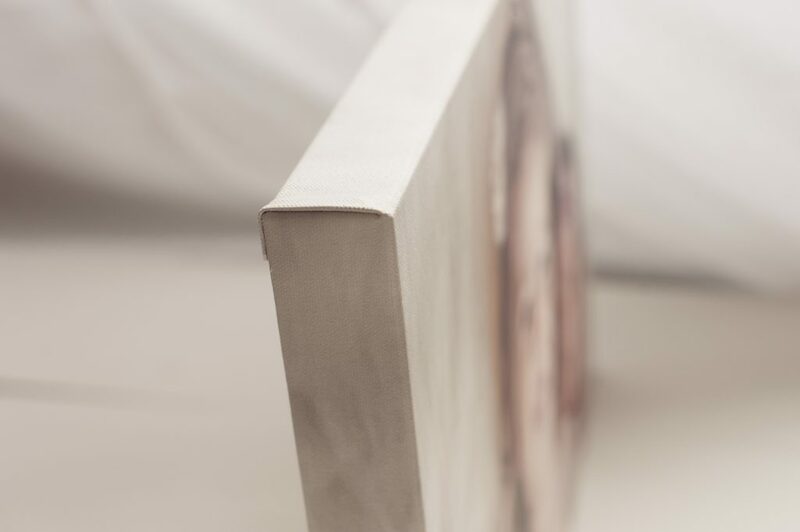 Gallery Wrapped Canvas side detail.